In this episode update, I tackle the question of whether Mormons are Christian. This question might prove the most baffling and offensive to members of the Church… how could anyone possible question our devotion to Jesus Christ? The goal of this episode is to help class members understand both sides of the discussion, and help us respect each other’s relationships and perspectives on Jesus Christ. Jared, excited to see what the new format brings. I appreciate the hard work that you have done and continue to do. That said, I was not a particularly big fan of this episode. I do agree that we need to be aware of some of the sharp edges of Mormon exceptionalism that cause hurt, but I’m not sure this was the lesson to have that discussion. The discussion treated a common question as an academic question, and I imagine your response is spot on in an academic setting. However, in my experience when people have accused me of not being Christian they weren’t offended because of missionary work, they were accusing me of being in a cult. Also, if I understand you correct you are saying that even though we (Mormons) are generous with verbal validation of other Christian denominations, our actions (via proselytizing, temples, etc.) is evidence that we don’t really believe that they are Christians, or as you say we “socially” tell them they are not Christians because their Christianity isn’t good enough. But under that theory wouldn’t Jehovah’s Witnesses and Seventh Day Adventists also have the same problem? And what about Catholics and their belief in priesthood and sacraments? I just don’t see how Mormon beliefs demean other Christians more than other Christian beliefs demean other Christians. Plus, there is more at stake with the “Mormons and Christianity” issue than proselyting and priesthood. I attended a bible study for some time. The Chaplain who ran the bible study asked me once my religious background and I told him I was Mormon. He looked really surprised but over the next few weeks we became friends. One day he asked me why BYU let Richard Land speak on campus. He was genuinely curious because he told me that Bob Jones (his Alma Mater) would certainly never invite any Mormon ecclesiastical leader to come speak on their campus. Could Mormon’s be even more affirming of other Christians “socially?” Sure, and we should. That said, though imperfect, Mormons are much more socially inclusive than groups that are also verbally telling groups they aren’t Christian. I appreciate the feedback. My goal for the episode was to help members understand why Christians might accuse Mormons of not being Christian. There are points I could have discussed more, such as the basic “You are not like me therefor you are wrong” point. But I don’t think we get a pass just because there are Christians who are more exclusive than Mormons are. Theologically, Mormons are quite universalist… but not socially. 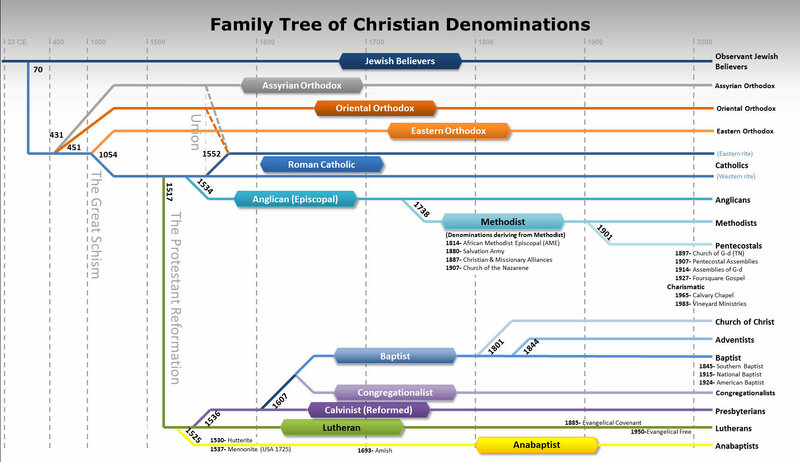 I imagine most if not all members would acknowledge that other Christians are Christian… but I still hold that the function of teaching those Christians that they can only be saved through LDS ordinances is to communicate that they are not saved according to their own faith, which means their Christianity is inadequate, according to LDS belief. It is a tricky situation, shared as you point out by other denominations as well. Jesus was so radically inclusive that he frustrated the religous elites of his day. I wonder what that would look like in our context. Jared, thank you for your kind response. That last line about what would Jesus’ project look like in a modern context is very inspiring. However, my bigger point is why not address Mormon exclusivity in episodes that more directly deal with Mormon exclusivity such apostasy narratives. My position is that Mormon (and for that matter Jehovah’s Witness, Seventh Day Adventist and to smaller degree Catholic) exceptionalism is NOT in any way analogous to trying to label groups within the United States as non-Christians because of the power dynamics that exist in the US. The act of publicly trying to de-Christianize a group is an attempt to make them a social pariah in the United States. Pew research last I checked showed that Americans had poor attitudes towards Muslims, Buddhists, Mormons, and Atheists. (Jews, if I recall were the exception to the rule. They scored higher on the survey.) I saw a presentation at BYU by a professor who helped design the “Truth Restored campaign” (it proceeded the I am a Mormon campaign) and surveys the Church ran found that people reported more positive feelings for The Church of Jesus Christ of Latter-day Saints than they did Mormons. (I imagine this was the driving force behind returning to the official name during that time.) In my experience, groups and people that try to de-Christianize me are saying “Mormons are like Muslims/cult members, treat them like Muslims/cult members.” Although Mormon exceptionalism has collateral damage, Mormons still don’t have sufficient power in the US to make Mormon proselytizing equivalent to de-Christianizing groups because while we have a lot of control of “in group/out group” dynamics in Utah or our congregations, we lack that power across the United States. Denying a group’s Christianity isn’t different in degree to what Mormons do, it is a whole different creature altogether. When I spent a semester at the BYU Jerusalem Center I was surprised that the people running the center didn’t use the full name of the Church and would just say we were Mormons when talking to visitors or when talking to various tour guides we had. (This was also during a time that pre-dates the I’m a Mormon campaign when the Church was saying we should use the full name.) I asked one of the directors why this was and he told in it’s because the stakes of being “non-Christian” are much lower in a region with high Jewish and Muslim populations. When the concerns of bigotry are reduced, Mormon concerns about being called Christians are also reduced. I suppose if there is an angle to use the whole “are Mormon’s Christians” to get Mormons to think outside of ourselves it would be this: in the United States being designated as non-Christian makes you an outsider. Attempting to designate Mormons as not Christian is another attempt in a long history of attempts to designate Mormons as foreigners who are non-American and dangerous to civil society. But Mormons aren’t the only group that suffers from this type of bigotry. The same groups that try to marginalize Mormons for not being Christians do the same thing to Muslims, atheists and other religions and Christian groups they don’t agree with. The same people who were worried about Mitt Romney being a Mormon President were also worried about Barack Obama being a Muslim (even though Obama is NOT a Muslim). As we fight for a spot at the Christian table, we should not let that fight distract us from making sure that all groups (even groups that acknowledge they are not Christians such as Muslims and atheists) have a place of respect and love in society.